Happy Hump Day Everyone! This week does seem like its flying by. We are having a Thanksgiving celebration here all week long at The Slow Roasted Italian, so pull up a chair and stay a while! 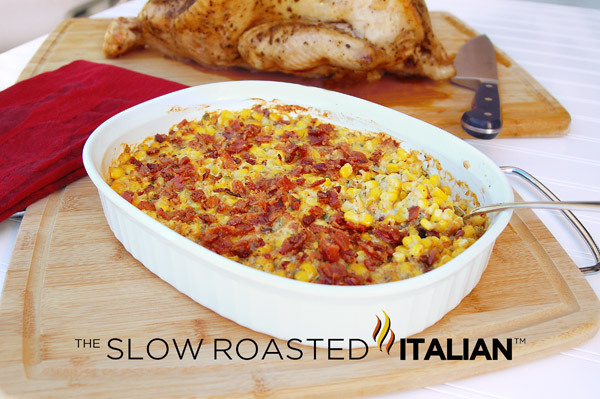 Monday we featured a fantastic Simple Herb Roasted Turkey, Tuesday we had Mashed Potatoes with Sun-Dried Tomatoes and today we are having Corn and Bacon Casserole. Our standard vegetable dish for Thanksgiving is sweet corn, not surprising as Mr W is from Iowa (and you would think I was from there too, as I think corn should be its own food group). In an attempt to try some new things, but stay close to tradition I decided to try this corn casserole. Corn and Bacon, sounds like a match made in heaven, right??? I absolutely though so! I devoured, and I do mean devoured this dish. I loved it so much I even ate it cold. Em also loved this. Mr Iowa, my sweet corn soul mate... Did not even finish his first serving. I was floored. So, I had to ponder the situation, Mr W did not eat corn... Was the moon going to fall out of the sky??? Would we start driving on the clouds and sleeping on our ceilings? Everything must be out of whack. 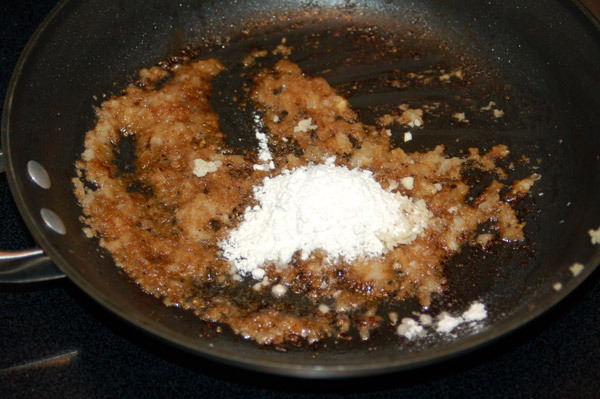 After careful consideration of all the facts decided it was the sour cream in the casserole that caused this unheard of event to occur, and not the corn. Whew! Disaster averted. Never fear, I will overcome! I am considering other cream options. We will be having this dish again. 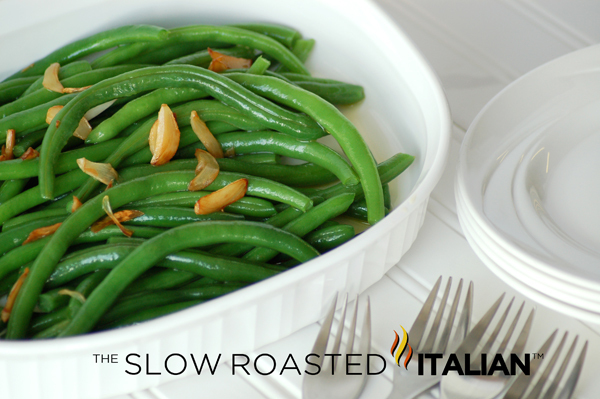 Are you looking for a great vegetable dish to go with your turkey? How about these fantastic dishes: Honey Glazed Baby Carrots, Rosemary Roasted Onions, Parmesan Peas, or Green Beans with Garlic. In a large skillet, cook bacon until crisp. 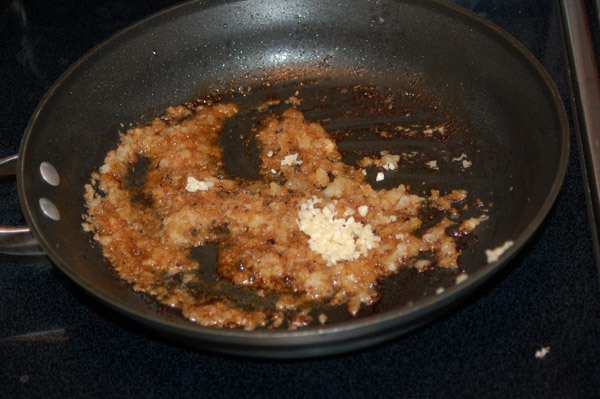 Drain, reserving 2 tablespoon of drippings. 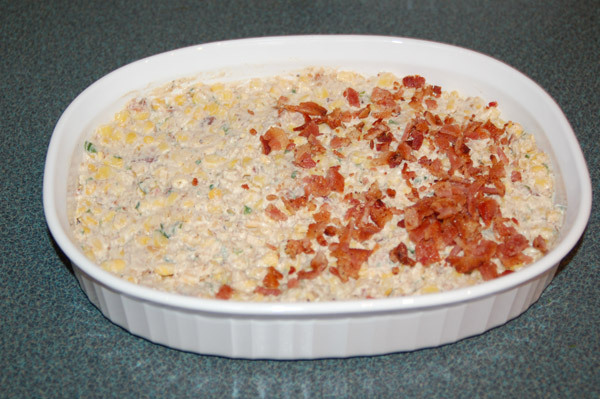 Crumble bacon; set aside. 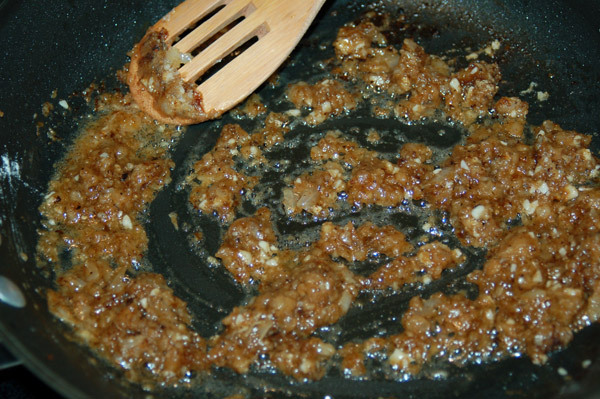 Saute onion in drippings until tender. Add flour, garlic, salt and pepper. 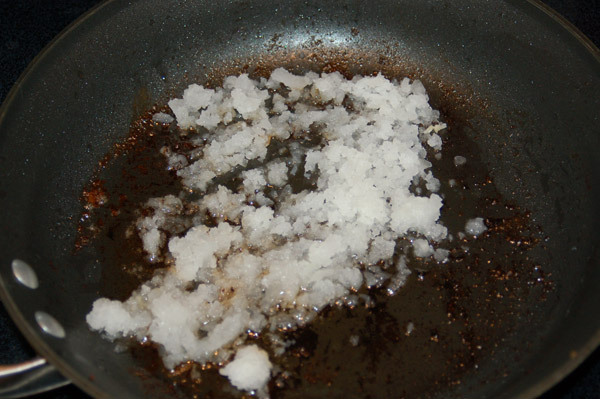 Cook and stir until bubbly; cook and stir 1 minute more. 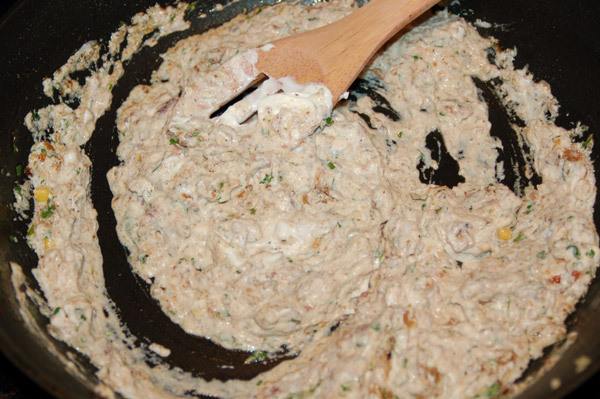 Remove from heat and stir in sour cream until smooth. 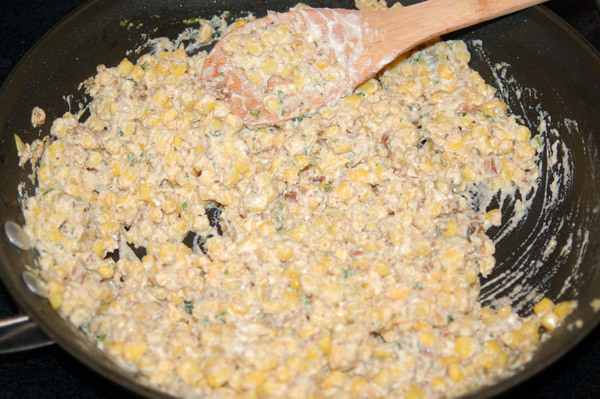 Add corn, parsley and half of the bacon; mix well. Pour into a 1-qt. baking dish. 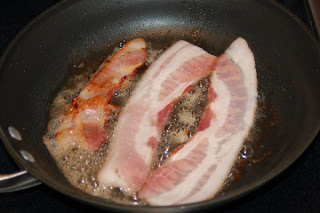 Sprinkle with remaining bacon. Bake, uncovered for 20-25 minutes or until heated through. Yield: 6-8 servings. Wow! 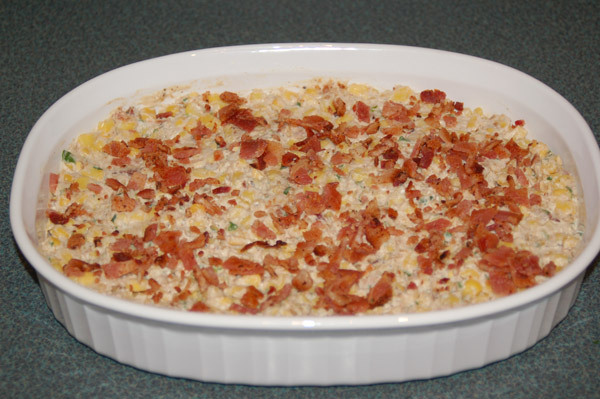 I have seen some casseroles in my day but this corn and bacon casserole just looks divine! Simply beautiful and delicious. Might have to put this on the table next week! Hummm... I need a trip to the store and fast! WOWzer, this looks AMAZING. Bookmarking! I posted this recipe on my blog today, thanks so much! It has so much flavor, scrumptious! I have linked back to your site and given you credit. I would love to try this recipe if someone could tell me what I might could substitute for the sour cream? My family and I don't like sour cream. Thanks in advance. I'm thinking cream cheese would be a yummy substitute for the sour cream. Not quite the same taste, but close, and the texture would be creamy. I agree with cream cheese.